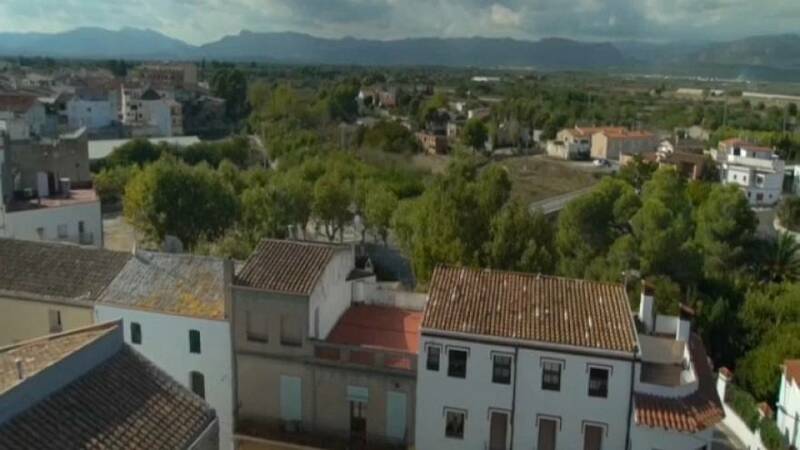 The town of San Rafael del Rio lies on the border of Valencia and Catalonia. A 100-metre-long stone bridge over the Senia river links the Valencian residents to the neighbouring Catalan village El Castell. Although the communities are under different administrations, they are mainly thought of as one. “It’s true, we are talking about different places, it’s clear that one side is Valencia and the other is Catalonia. But for us, it is the same town. There are just 100 metres between us. For us it is not a border, it is all the same place,” said Natziel, one of 500 residents living in the town. Locals are now feeling under threat by the increasing possibility that the all-but invisible border that cuts through their secluded rural community could become something more concrete. Until now, the border was considered a mere curiosity, but the unrest over the recent independence referendum held by the Catalan regional government has changed that. Many concerned citizens remain on edge, with San Rafael residents especially worried about the possibility that the brewing conflict could literally split their community in two. San Rafael shares irrigation, roads, electricity supply and even the telephone prefix with Catalonia. Unsurprisingly, Catalan independence is a delicate subject for locals especially since, beyond dividing the region, it also risks splitting family and friends. “I have family, a brother and a nephew, who are pro-independence. And also friends. And when we meet and talk we can’t talk about this issue, because we always end up arguing. This has been happening for the last two or three years” said local resident Hector.